Six miles north of downtown Indianapolis, along the canal of the White River, lies Broad Ripple. Bordered on the east by College Avenue and on the west by Keystone, it is one of the city's most sought after destinations for dining, shopping, live entertainment, or just taking in the scenery and greenery while walking or biking. The residential streets surrounding the vibrant commercial district offer a mix of detached houses and condominiums, and they typically move fast due to the prized location. 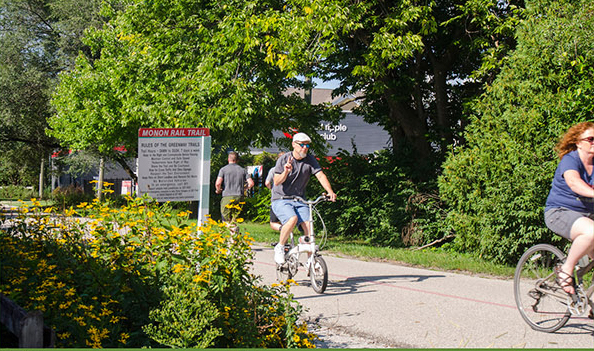 The Monon Trail (left), an 18.1 mile trail, runs right alongside the heart of Broad Ripple Village, making it one of the most cycle friendly neighborhoods in the city. 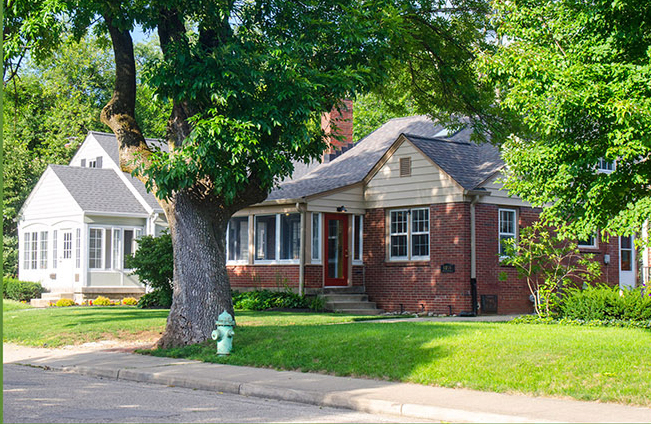 The detached homes in Broad Ripple are usually of the bungalow or ranch style. Below, a view down Winthrop Ave, displaying a typical residential block in the area. 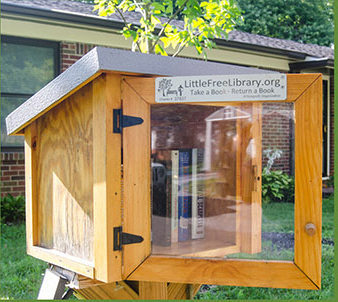 A "Little Free Library" in Broad Ripple (left) provides an opportunity for public book sharing. 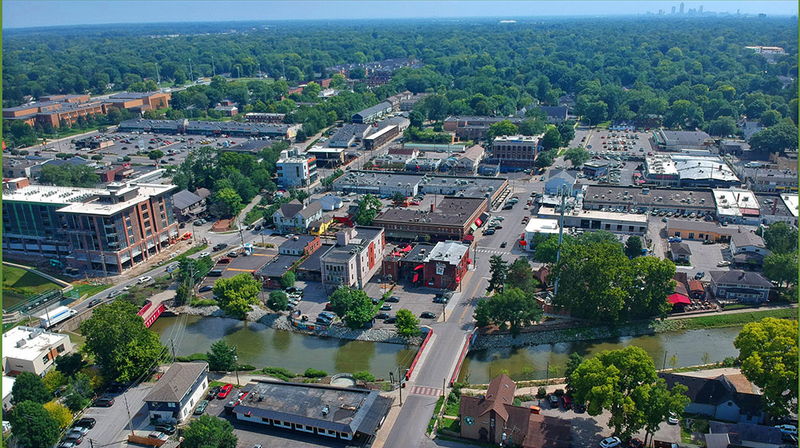 Some of the area's highest-valued real estate can be found along Oxbow Lake, below, just north of Broad Ripple Village. The area is home to dozens of unique restaurants. A wide variety of international cuisine can be found, in addition to burget joints, pubs, and high end gourmet eateries. Some examples include Public Greens, an Urban Kitchen with a mission (all profits go to charity), with all locally grown produce; Brugge Brasserie, with Belgian dishes and house brewed beer; Bazbeaux, legendary for it's pizza; Canal Bistro, offering Meditteranean fare; the self explanatory Sushi Bar; and two Indian restaurants, Shalimar and India Garden. All manner of goods and services are available at the many shops of Broad Ripple. Bicycles at Bike Line; Rusted Moon Outfitters, sells kayaks and canoes as well as a wide range of rugged outdoor gear; and color clothes at Shop Tibet.